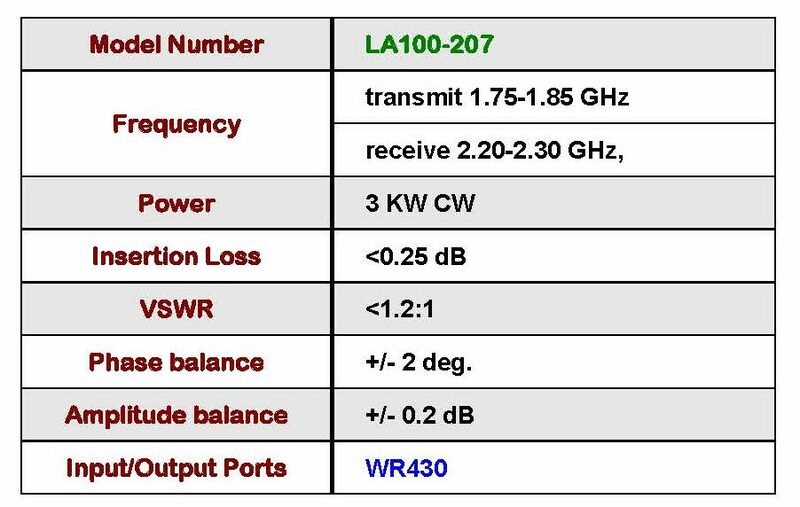 M.E.C.’s LA100-207 is an S-Band (WR430) 4-horn combiner/divider used for satellite up-link communications. 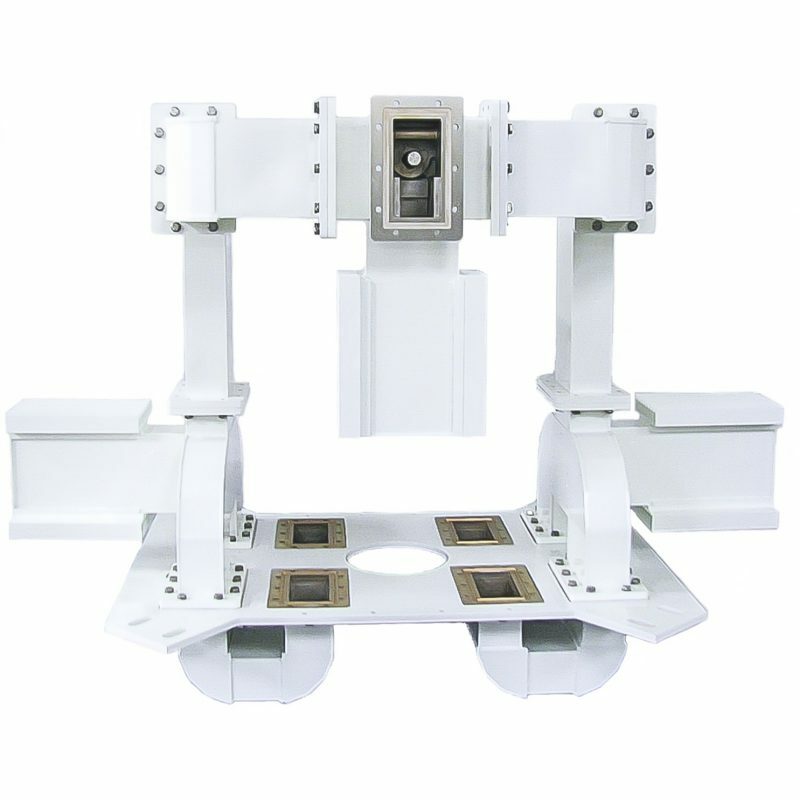 This design features an input magic tee with integral high power load, waveguide plumbing with fabricated E and H bends, two output tees with integral H bends on co-linear arms and high power loads. There are four in-phase outputs. The complete assembly is mounted on a common flange.